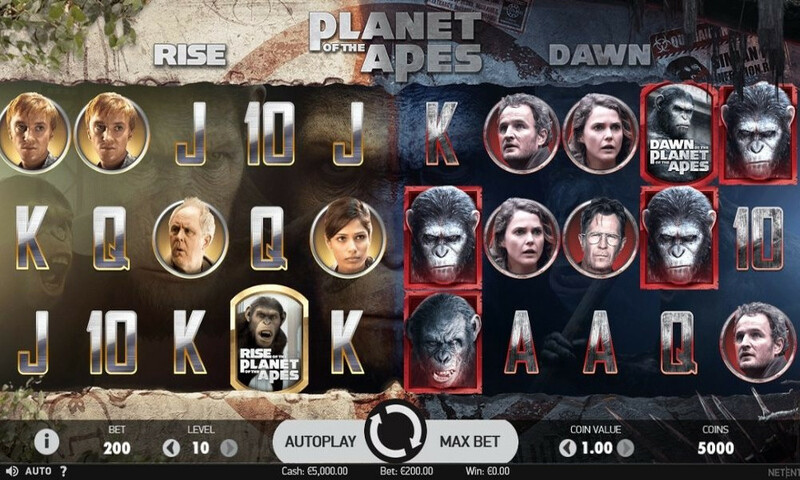 Planet of the Apes is a newer slot release from Net Entertainment and the game is based on the Dawn of the Planet of the Apes and the Rise of the Planet of the Apes films. With this game, players will enjoy multiple bonus features and will have the chance to earn some great real money payouts. This exciting video slot game is a 10-reel game that features 40 paylines. The game can be previewed in a free play version and then players can start to place a variety of bet amounts by selecting coin denominations. The game offers some amazing sounds and graphics and it is a bold slot that will bring about hours of entertainment. With Planet of the Apes, players will enjoy many base game features and will also be able to collect payouts from special bonus features. While the game does not offer the chance to win a progressive jackpot, it does have some attractive rewards that can be enjoyed while spinning for real money. HOW TO PLAY Planet of the Apes? To get started with this fun NetEnt video slot, players will choose whether they are playing for free or for real money. There are many betting options and players can start enjoying the game for just €0.20 per spin. For those that have a higher budget, the slot supports bets that are as high as €200 per spin. While enjoying Planet of the Apes, players can also make use of a Max Bet option for fast wagering and there is also an Autoplay feature. This can allow players to select a bet amount and a number of spins to play automatically. When winning combinations are created, the win amounts will automatically be credited to the game balance and players are free to withdraw those funds or keep playing for more chances to win. This game uses two sets of reels, with 20 paylines on each side, so there are many ways to generate payouts. All of the video slots from NetEnt feature some great game bonus rounds that can boost payouts. There are also base game features that make the game more interesting and rewarding. Wild and Scatters – The wild is a gold symbol on the left of the screen and a red symbol when it appears on the right of the screen. Both will replace all standard game symbols with the exception of the scatter/bonus icon. The wild can appear in any position as can scatters. If stacked wilds appear on the Rise set of the reels, this will be duplicated on the Dawn set. Dual Feature – This can happen prior to a spin and a symbol will be chosen at random on both sets of reels. The reels will respin and any matching symbols to the chosen one will become frozen in place. Respins spot when no new symbols appear. Rise and Dawn Bonuses – When the Rise symbol is on the first reel of the left set of reels or the Dawn icon is on the fifth reel of the right set, the bonus will begin. The Rise Bonus will pay a reward for all human and ape symbols. The Dawn bonus will take human and ape icons and turn them into a matching icon. Free Spins – Free spins are triggered with three scatters on either set of reels and there are two modes that can be enjoyed. The Rise Free spins earn 10 spins and each wild is collected and used for the final spin. The Dawn Free spins award 15 spins and there are three flaming symbols added. When these appear, they will fill a meter and a feature can be activated when it is full. 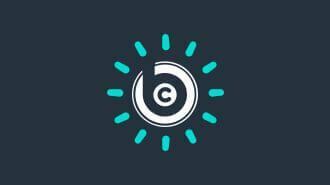 This can offer three extra spins, a human changes into a wild symbol or increased multipliers. Planet of the Apes is a thrilling game from NetEnt and it can be an affordable option for most players. With two sets of reels and multiple bonus features, there are many ways to create payouts and enjoy the RTP of over 96% on this game. This video slot presents outstanding sounds and animations for a visual appeal and the overall payouts are outstanding, especially when triggering bonus features. NetEnt is renowned for its top-quality product and this branded slot based on the entertainment industry’s ultimate hit is a highly popular choice for slot players worldwide. With Planet of the Apes, players will enjoy one of the latest releases from NetEnt and will spin for their chance to win some great payouts. The base game offers a jackpot of 1,000 coins, but so much more can be won with the added features. Players, we need your help with how we should to rank and rate these reviewed casino games. You can help us by rating this game, and if you really enjoyed playing Planet of the Apes. You can also share it with your friends on Facebook, Twitter and via email. For all freeplay games, if your free credits run out, simply just refresh the page and your balance will be restored.